Provide comfort for the family of Christopher Chambers with a meaningful gesture of sympathy. 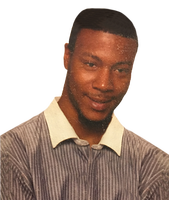 Mr. Christopher Shayne “Plaaga” Chambers, 32, of Greenville, passed on Friday, March 8, 2019. Surviving: his mother, Sharon M. Chambers Cleveland of Greenville; stepfather, John Lawton of Greenville; his fiancée, Eryka Thompson of Atlanta, GA; three sisters, Aretha Vance and Shamarie Seawright, both of Greenville; and Myeisha Cleveland of Orange Park, FL; an aunt, Cyndi (Authur) Kinder of Greenville; an uncle, Michael (Julie) Chambers of Ambridge, PA; a great-uncle, George Burton of Greenville;and a host of other relatives and friends. I am sorry for the loss of your loved one, Mr. Christopher Chambers. Expressing my sincere condolences to the family. May the God of all comfort sustain your family during time of grief. 2 Corinthians 1:3,4. What a good person you were. You going to be truly missed. Rest In Peace Chris!!! !